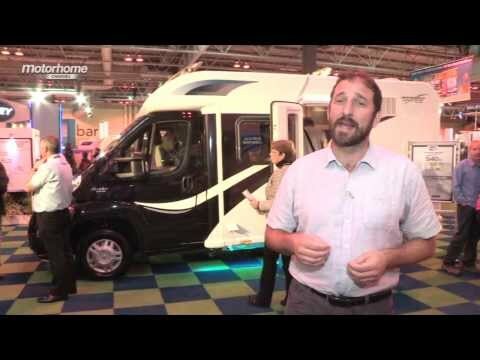 When Bailey launched its compact low-profiles at the October 2013 NEC show, it had been building motorhomes for just two years, but in that time had produced more than 1000 ’vans. This puts it in the top handful of UK motorhome manufacturers by volume. It started in 2011 with the launch of its Approach SE range, and replaced this for the 2014 season with the Approach Autograph range. The exterior styling was improved, with a rounded rump and an overcab with subtly inward curving sides. The range also starred the 765 – a six-berth low-profile with a drop-down bed over the front lounge. Two compact models followed. Both Approach Compacts are low-profiles that measure a shade under 6m, so they’re no bigger than most panel-van conversions. Under scrutiny here is the 540, with four belted seats and three berths. It has a central kitchen, a full-width end washroom, and an L-shaped lounge with an electrically operated, transverse drop-down double bed above it. All Bailey motorhomes are built using the Alu-Tech construction method, with the walls and roof clamped together with aluminium extrusions. Sidewalls are timber-free and skinned with GRP inside and out. Bailey offers a six-year bodyshell integrity guarantee with an option to extend this a further four years. a little on washroom space, where it sits in a sealed unit beneath a large wardrobe. Also on this side are the water inlet, the electric hook-up point and a waste water drain tap. The toilet cassette is accessed through the ’van’s rear wall. The fresh and waste water tanks are underslung, with the former insulated and fitted with a heater. There’s another insulated box under the floor, with space for two leisure batteries, accessed through a hatch in the habitation floor. There’s also a wind-down spare wheel underslung at the rear. Based on the Peugeot Boxer/Al-Ko AMC chassis cab, the Compact is powered by the 2.2-litre 130bhp engine, which delivers more than enough muscle for a ’van of this size. Bold graphics integrate the graphite-coloured cab with the caravan sidewalls, and there’s an opening skylight above the cab area. It’s a well-specified chassis cab, with goodies including cruise control, cab air con, driver and front passenger airbags, plus remote locking for the habitation and cab doors, all fitted as standard. Inside, the walnut veneer finish, high-gloss worktops and chrome effect finishings give an appealing ambience. 6ft of headroom beneath the ceiling bed. The lounge features a forward-facing two-seater bench and a side sofa. A table, with an extension that brings the side sofa into play at mealtimes, clips onto the sidewall and is stashed in the wardrobe in the washroom when it’s not in use. It folds at the knee to double as the base for the single, transverse bed, and the side sofa slides out to meet it. Plug a key into a panel above the entry door, and the double bed lowers at the push of a button, with a ladder to access it that’s otherwise stored in the washroom. Heating and hot water throughout come courtesy of Alde’s Hydronic boiler, which feeds a wet-radiator heating system, operated via a touchscreen control panel above the entry door. The compact kitchen hosts a combination oven/grill, a Thetford three-burner gas hob and a huge refrigerator across the galley. This is a three-berth motorhome, which is pretty unusual. The double bed lowers from the ceiling at the push of a button, and is accessed via a ladder that normally lives in the washroom. The double bed mattress has comfortable Froli springs and it also has a safety net so you won't roll out of this high-level bed. So where's the single bed, I hear you ask? Well, the dining table folds at the knee to double as the base for the transverse single bed. The side sofa slides out to meet it. The washroom spans the rear of the ’van, and it features a separate, lined cubicle containing an energy-saving EcoCamel shower system. The wardrobe and the ladder are in the washroom too. Storage space is restricted, as you’d expect from a ’van of these proportions, but what’s there is well thought out. There are wall lockers beneath the ceiling bed, a cupboard behind the driver's side bulkhead and cubby holes above each cab door. There's a huge 145-litre fridge/freezer to help with food storage. There's a radiator in the washroom, a microwave in the kitchen and that huge fridge/freezer. Bailey’s good-looking low-profile features real innovation and a strong kit list. Its compact dimensions affect storage, but what’s provided is thoughtfully proportioned. What’s more, the Approach Compact 540 is competitively priced and it won Best Compact Motorhome in our 2014 Motorhome of the Year Awards. Bailey Motorhomes is based in Liberty Lane, Bristol and you'll be able to see the Approach Compact range at one of the many Bailey dealerships around Britain.